These fake escrow templates are commonly used to defraud eBay jewelry sellers. Using Escrow.com can help keep buyers and sellers safe from fraud. When you use Escrow.com, they collect the money from the buyer and hold it until the buyer and seller agree that the terms of the sale have been met. Once both parties are satisfied, Escrow.com sends the payment to the seller. Escrow.com is licensed and regulated company, and the only escrow service that can be used for eBay transactions. Escrow is available for any purchase, but typically is used for purchases of $500 or more. 3312/33-34 2-3 FL Zone A Soi Ladprao 101 Ladprao rd. Both fake sites have invalid domain registrations. The AOL accounts do not exist. Therefore, in my opinion, the registrar and web host are allowing this fraud and need to be held accountable for criminal activities on their server. I will cover the shipping fee because i want it shipped through FedEx. Because of the high amount of money i will prefer using an escrow service. Also you will have to add a buy it now button on your listing so i can use it, please do not forget to also add that you deliver worldwide and that you accept other methods of payment so i can pay you via escrow. I will cover the fees of the escrow. The escrow company i want to use is www.safely-trade.com , please read their terms and conditions and if you are agree with them please register and let me know the email address you use for registration in order for me to initiate the transaction, or initiate yourself the transaction trough them, my registered email address with them is mruiz414@gmail.com . You don't need to insure the watch because I will insure it to the escrow company at the real value, so you don't need to insure it to FedEx any more. I'm located in Marbella, Spain .. Please note there are 7 positive ratings for him on the fake site. This means 7 people are currently engaged in transactions with this scammer. Here are some images of the fake sites. They both use the same fake contact information. Both parties agree to terms of the transaction, which includes a description of the merchandise, sale price, number of days for the Buyer's inspection, and any shipping information. The Buyer submits a payment, by bank wire transfer. TRADING-SECURE.COM verifies the payment. Upon payment verification, the Seller is authorized to ship the merchandise. 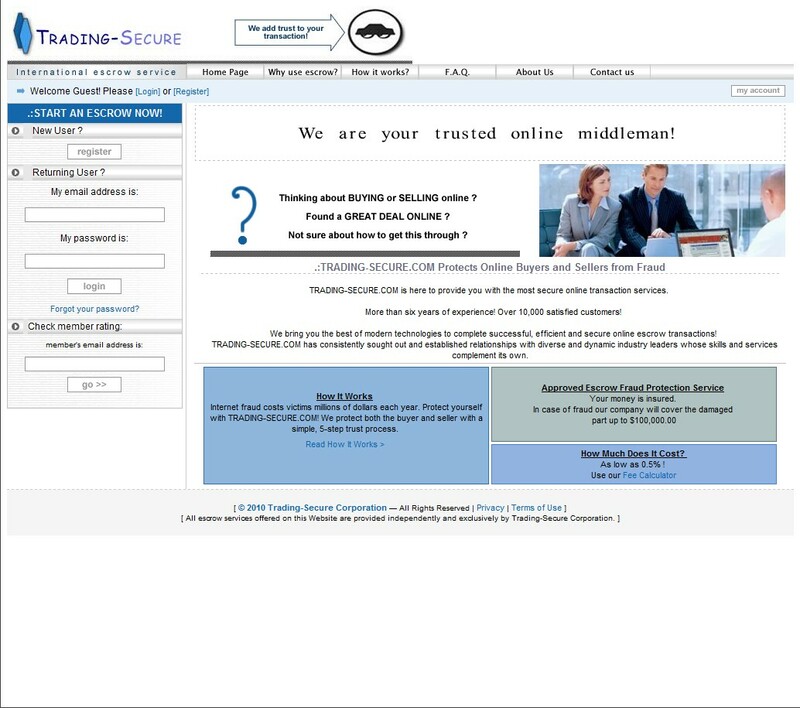 TRADING-SECURE.COM verifies that the Buyer receives the vehicle. The Buyer has a set number of days for an inspection and the option to accept or reject the merchandise. For more information, FAQs - Return Questions. 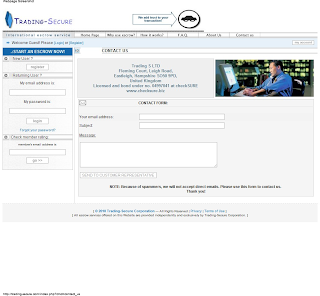 TRADING-SECURE.COM pays the Seller by bank wire transfer. The transaction is complete. TRADING-SECURE.COM, an accredited escrow company, acts as a secure third party to protect the Buyer and Seller. •TRADING-SECURE.COM tracks the merchandise and verifies it was delivered. •The Seller isn't paid until the Buyer accepts the merchandise, or the inspection period expires. •TRADING-SECURE.COM confirms when the Buyer receives the merchandise. •The Seller is authorized to ship only after TRADING-SECURE.COM verifies good funds. The Buyer submits a payment, by bank wire transfer. SAFELY-TRADE.COM verifies the payment. Upon payment verification, the Seller is authorized to ship the merchandise. SAFELY-TRADE.COM verifies that the Buyer receives the vehicle. SAFELY-TRADE.COM pays the Seller by bank wire transfer. The transaction is complete. 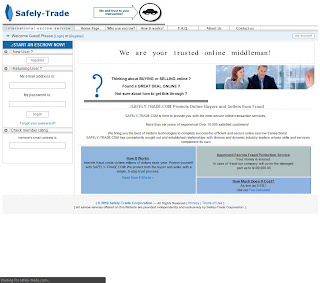 SAFELY-TRADE.COM, an accredited escrow company, acts as a secure third party to protect the Buyer and Seller. 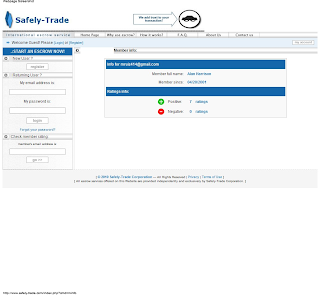 •SAFELY-TRADE.COM tracks the merchandise and verifies it was delivered. 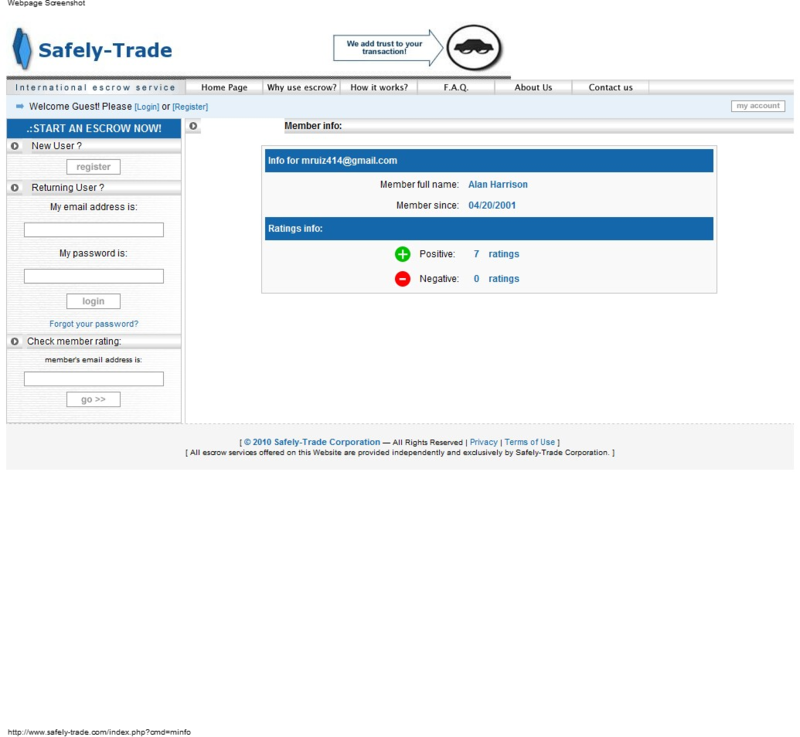 •SAFELY-TRADE.COM confirms when the Buyer receives the merchandise. •The Seller is authorized to ship only after SAFELY-TRADE.COM verifies good funds.